There is something about Caramel Popcorn that just makes people happy. 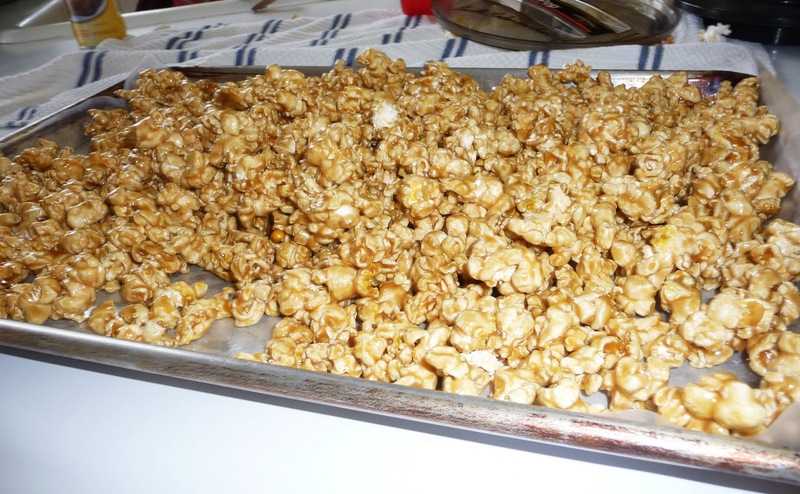 When I was down visiting my mom this past weekend, we cranked out a few batches of this tasty caramel popcorn! Separate kernels and placed popped corn in a brown paper bag. STOVE-TOP METHOD:Cook brown sugar, butter, corn syrup and salt in a large saucepan for 2 minutes. Add baking soda and vanilla. (It will become foamy) Pour into brown paper bag and shake like crazy. Place in microwave at 70% for 3 minutes, stoping and shaking bag every minute. This is going to be our weekend baking project this week. The kids will love making and eating this together! Love your recipes. 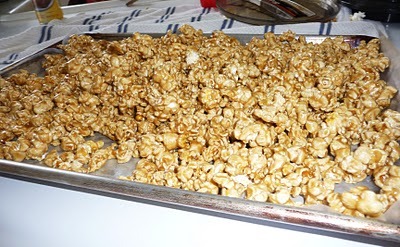 I like to find a Caramelized Popcorn with out carinails in them. I wondering if you buy that remade pop corn with no carnials if that would work? But, the cake I had once before and it is so moist and sooo good. Thanks for sharing your recipes.